Michael O'Neill has confirmed both Corry Evans and Gavin Whyte have not recovered in time to face Belarus on Sunday night. The midfielders missed Northern Ireland's 2-0 win over Estonia in the first EURO 2020 qualifier on Thursday night. 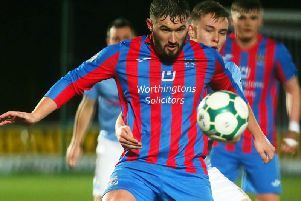 Speaking on Saturday lunch time O'Neill confirmed they would both miss out again on Sunday, however, Rangers defender Gareth McAuley has recovered from injury and came through a training session. "Corry and Gavin will both miss out as they won't be fit," said O'Neill. "Gareth has recovered from his injury though and will be added to the 23-man squad from the Estonia game. "We have a few other bumps and bruises but nothing to really concern us."